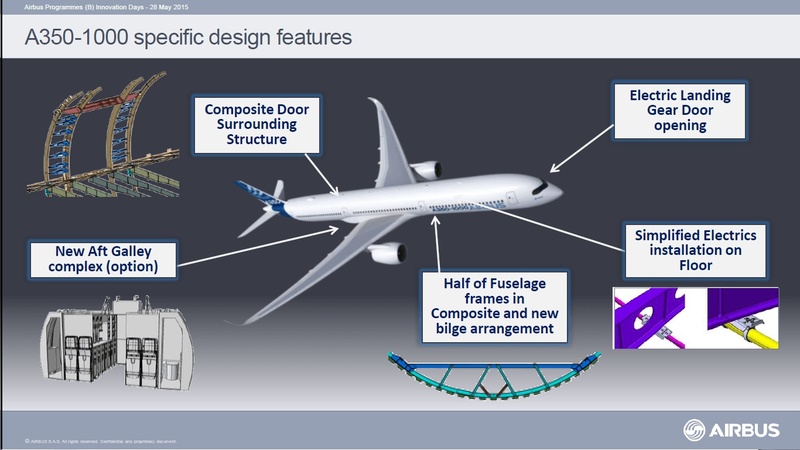 The A350-1000, while essentially a stretch of the -900, will incorporate a number of aerodynamic and structural differences – including a 6-wheel main landing-gear and a larger trailing edge. 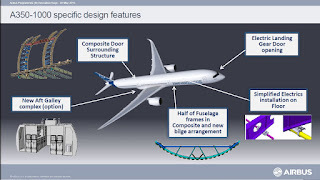 It will also have several other enhancements including greater use of composites in the fuselage frames and pylon, and electric landing-gear doors. 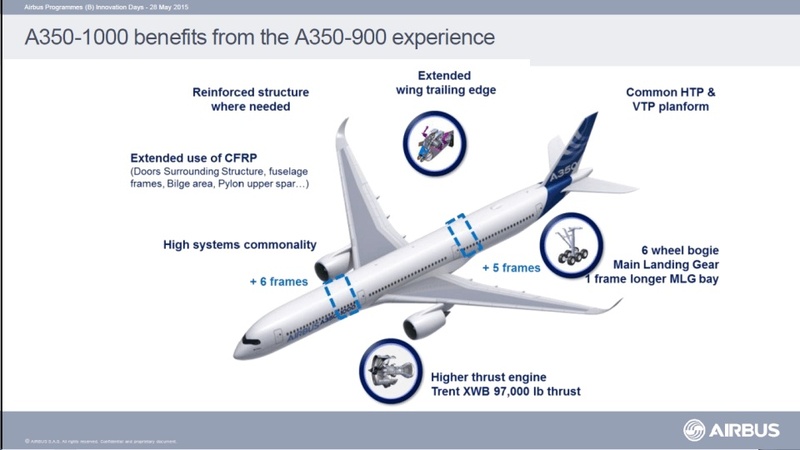 The A350-1000 is building on all the knowledge and data that Airbus has gathered on the A350-900. Airbus is increasing the Carbon Fiber Reinforced Plastic content of the aircraft gaining both weight and cost advantages by means of reduced structural maintenance requirements. Fuselage door surrounds and a portion of the fuselage frames were made with Titanium and Aluminium on A350-900. This will now be changed to CFRP. 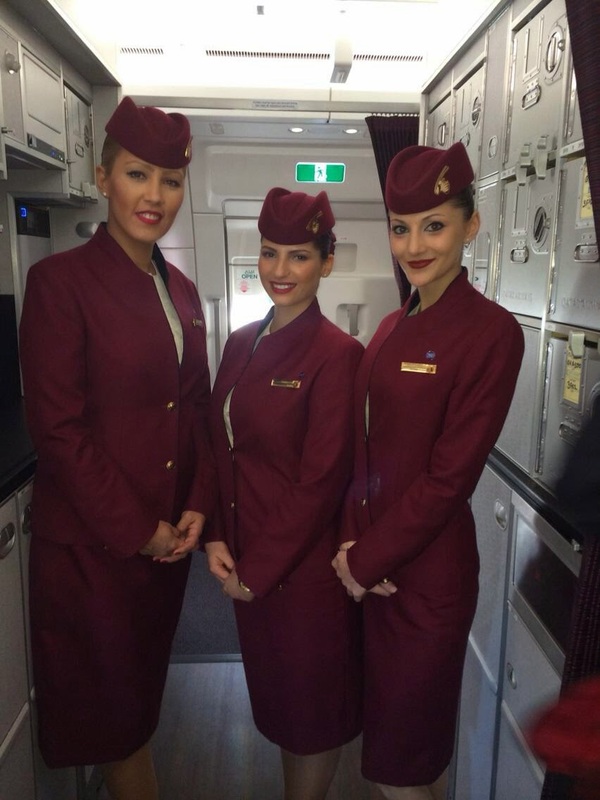 Airbus has also done some other improvements. The bilge area below the cargo floor has got a new frame support structure and the aircraft’s nose landing gear doors are now electrically instead hydraulically actuated, simplifying door installation and maintenance. 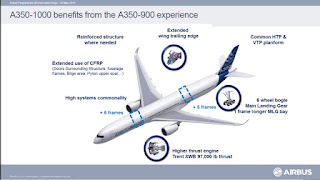 Finally there are a number of clean ups on the electrical side with simpler solutions for the A350-1000, requiring fewer connections, something that saves both weight and sources of future trouble. 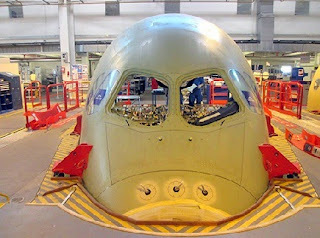 Airbus is also working hard on increasing the cabins passenger carrying capability. 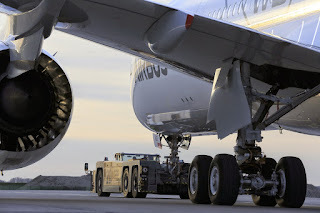 Based on the article “Airbus Innovation days: A350-1000 getting real” published in Leeham News. will those improvements then deployed backwards with the -900 too?